If you’ve got a grandchild, you probably understand the impulse to do everything you can to help out. And these days, it seems like nothing says “I love you” more than cold hard cash. A recent piece in The Atlantic outlines the significant scope of financial support that grandparents are providing to adult children and grandkids these days, even to their own financial detriment. In fact, between 1999-2009, the amount of financial support provided by those over 55 grew by more than 70% and more specifically, for the costs of primary and secondary school tuitions, grandparent giving nearly tripled. And while elder poverty has plummeted in recent decades, many senior citizens are still shouldering significant student loan debt (either from their children’s college expenses or their own) and the risk is that they financially support family members at their own financial peril. Still, many of us want to help ensure that our grandkids have a solid start on the journey to adulthood. 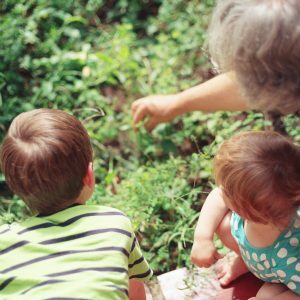 So, short of giving up your own job to take care of your grandchild (and here’s one example of a grandmother who was willing and able to do just that), there are ways you can sensibly provide financial assistance, especially for that all important college tuition bill, while minimizing your own financial risk. Take a look at some suggestions here. And for some specific concerns about those 529 funds for K-12 and college tuition for a grandchild, take a look here. Finally, want to pass on some useful info to the grandkids who are already shouldering student debt while struggling to save for retirement? Tell them to take a look at the advice from LendEDU here.